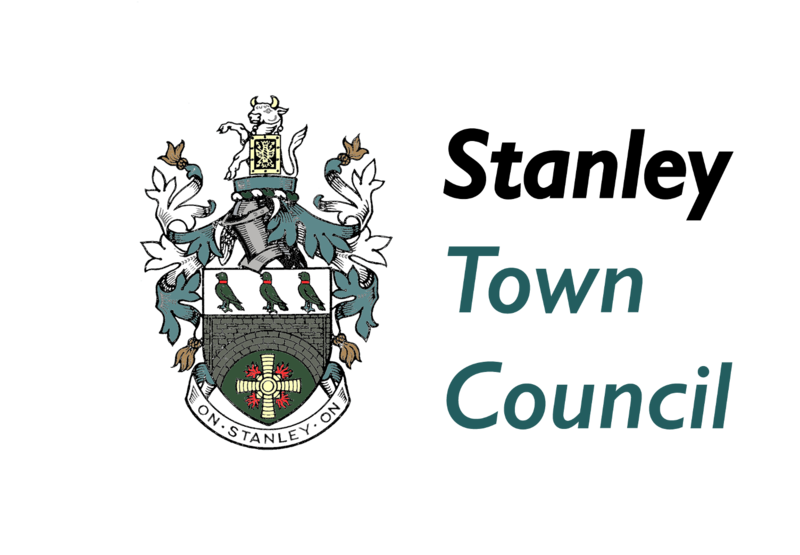 Stanley Town Council was created by Statutory Instrument (No: 1185, Local Government, England) dated the 11th April 2007 in direct response to a public petition by residents of the Stanley area. It is based on a new geographical boundary established in May 2008. New parish or town council areas can be set up in one of two ways. The district or borough council can recommend to the government that a new parish or town council area be established, or, the local community can petition for one. The latter being the case in Stanley. 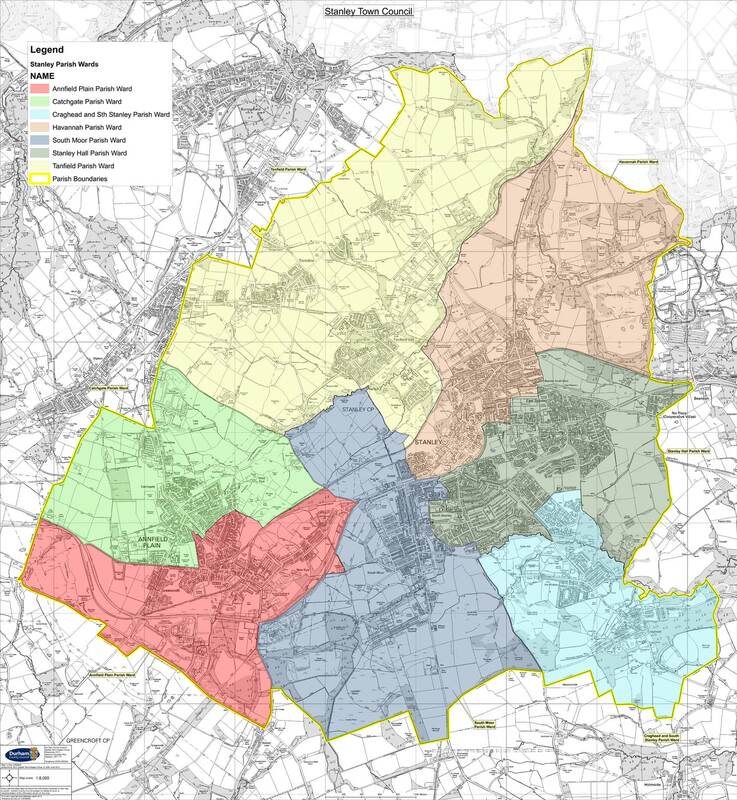 Following a large scale consultation exercise undertaken in 2008 a 5 year Town Plan was produced covering the period from 2009-2014. This Plan addressed the priorities identified during the consultation and detailed the committee and staffing structure established to address these. The priorities were Crime & Community Safety, Environmental Issues and Effective Communication & Information. The Plan is in the process of being updated to reflect the new priorities of the people of Stanley and surrounding areas. Following local government reorganisation in County Durham these ‘wards’ became co-terminus with the new unitary County Council’s four ‘electoral divisions’ of: Stanley; Craghead & South Moor, Annfield Plain and Tanfield, and the area covered by the Stanley Area Action Partnership. The map below shows the boundary of the parish of Stanley which is located in the North West of the County of Durham in the North East of England. Whilst the parish is centered on the Town of Stanley itself, it also covers the many surrounding communities including Annfield Plain, Catchgate, Harelaw, Harperley, Greencroft, Oxhill, New Kyo, East Kyo, West Kyo, Craghead and the Middles, South Moor, Quaking Houses, East Stanley, South Stanley, Shield Row, Kip Hill, Coppy, Causey, Tanfield, Tanfield Lea, Clough Dene, Tantobie, Sleepy Valley, White-le-Head and part of Flint Hill. This amounts to an area of 36.5 square kilometers (approx. 14 square miles). Approximately 31,000 people live within the area, which make it one of the largest local councils in the country.